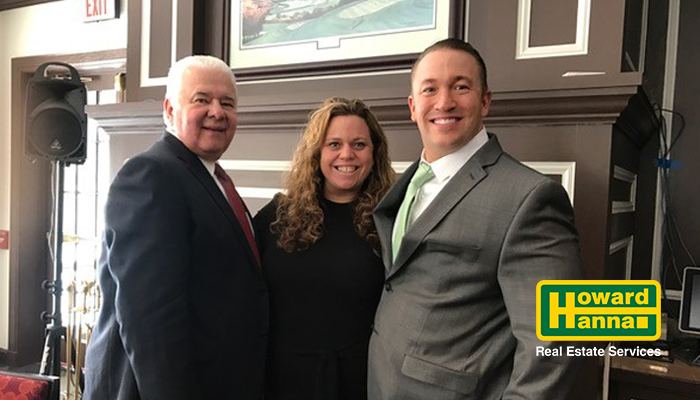 Seven Fields, PA (February 5, 2018) – Howard Hanna Real Estate Services President of Pennsylvania Tom Ceponis and Vice President/Regional Manager Kelly Hanna Riley announced that Michael Hornung has been named Sales Director of the Adams Township/Seven Fields office. The announcement was made at a luncheon held February 2, 2018 at Treesdale Country Club. Hornung has over 13 years of experience in the Pittsburgh real estate market in new homes sales. He joins Howard Hanna from Maronda Homes, Inc. where he was ranked #1 in sales volume in the nation for the past four years. He has extensive expertise in business acumen, negotiation, training, presenting, and closing contracts along with proficiency in latest technologies and online and social media marketing. Hornung is a 1999/2000 graduate of the University of Pittsburgh and holds Bachelor of Science degrees in Information Technology, Business Management and Economics. The Howard Hanna Adams Township/Seven Fields office is located at 100 Highpointe Drive in Seven Fields, PA 16046. Mike Hornung can be reached in the office at 724-772-8822, on his cell phone at 412-512-7181 or by email at michaelhornung@howardhanna.com.